Published The Drinks Business, 7 April 2016. Maurice O’Shea. Credit: Mount Pleasant Wines. The art of blending and the ability to assess individual parts, commit them to memory and create a vast library of aromas, flavours and structures from which to draw on at a point in the future is a unique talent. It is one that helped define the modern era of winemaking in Australia. 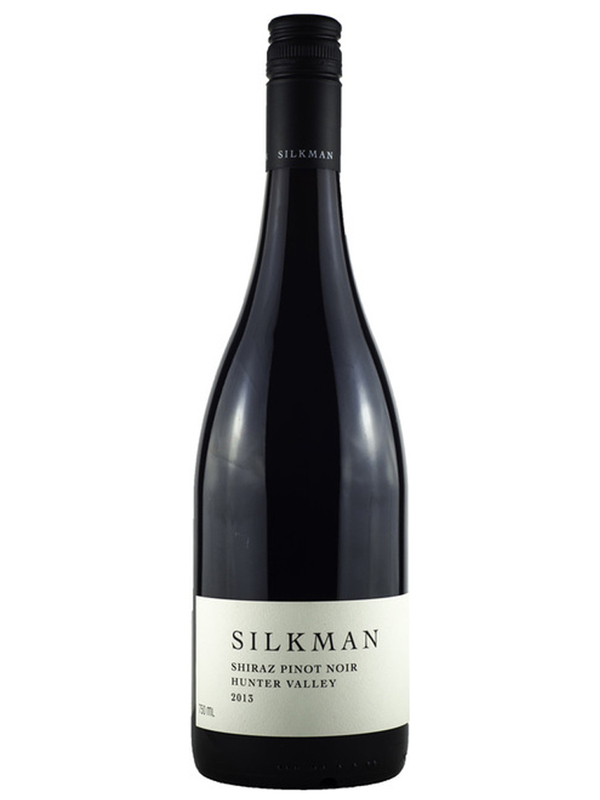 Perhaps not the most familiar Shiraz blend produced in Australia, the Shiraz Pinot Noir blend can trace its history back to early winemaking in the Hunter Valley and to a man widely regarded as the father of modern winemaking. Iconic winemaker and Hunter Valley pioneer Maurice O’Shea was famed for his ability to produce stunning wines with extraordinary longevity. This was achieved in part thanks to his particular talent of being able to assess individual parts and create the most splendid and complete of wholes. Looking back, centuries earlier and much further afield, the French have long experimented with blending wine and topping up some of their most famous wines with a drop or two of Syrah from the Rhône Valley – that was until the strict laws governing wine production came into effect across France in the first half of the twentieth-century. On his return to Australia, a young Maurice O’Shea, shaped by his education in France from 1914-1920, clung to whatever vestiges he could of his former life in Europe and this included his winemaking sensibility. Old Hill Vineyard, Mount Pleasant. Credit: Mount Pleasant Wines. One of O’Shea’s well known blends from his Mount Pleasant vineyard and winery is the Mount Henry, a Shiraz Pinot Noir blend that was first released in the 1940s and named for his very good friend, Henri Renault. Despite being released to a public mostly focussed on drinking fortified wines there was a small, but important, sector of the community that enjoyed dry table wines and instantly recognised the quality of wine being produced by Maurice O’Shea in the Hunter Valley. In the course of time the Australian wine industry grew and over the decades the focus moved from fortified wines to dry table wines by the 1960s. Production came to rest on single varietal wines. Blends fell to the background, overtaken by pure Chardonnay, Shiraz and Cabernet Sauvignon expressions, the notable exception being Penfolds Grange, a Shiraz Cabernet Sauvignon blend. Today however, blends are becoming more popular and are beginning to increase their footprint both in the consumer mind and on the shelves of retail stores and cellar doors alike. While blends may not be new, the lens has once again been adjusted, this time bringing blended wine back into focus – the result of which is reflected by the increased number of producers offering blends in their portfolios. 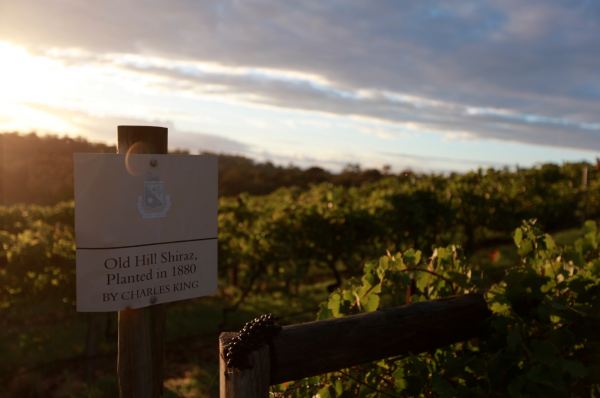 A recent trip to the Hunter Valley saw the Shiraz Pinot Noir blend, with its heritage firmly in the region, offered at several cellar doors. Grapes are sourced both locally and from outside the region. This too is a nod to the practice of Maurice O’Shea, who was known for his regular trips to wine regions across Australia, tasting and seeking out wines he could use in future blends. With both the Hunter Valley and the Yarra Valley so accessible from their respective major cities, Sydney and Melbourne, the opportunity to experience a connection with the rich history of Australian winemaking is but a short journey away. Mattinson, Campbell. The Wine Hunter. Australia: Campbell Mattinson, 2015.